With mass customized production becoming the mainstream, industries are shifting from large scale manufacturing to flexible and customized production of small batch sizes. Such highly flexible production methods call for solutions with high compatibility and fast change-over functions. Even thought cobots have the potential to reduce human workload, improve productivity, reduce cost, and errors, they are not widely deployed in small and medium sized companies. Reasons for that are the required robotics and programming competencies, a considerable amount of effort needed to create robust robot applications, frequent changes and dynamic production environment that implies that the worker needs to allocate more time for reconfiguring and reprogramming the robots. The AgilRoP consortium considers SME requirements for robotic automation in order to create a concept of Agile Programming of Robots based on CAD and Product information, i.e. to develop an innovative robot programming system where European manufacturing industries especially SMEs can continue to be competitive in the global market. In the visionary target of AgilRoP, robotic applications are supplemented by intelligent software solutions that simplify or completely relieve the user of important planning and programming tasks right from the initial installation, in order to drastically reduce the competence requirements and initial efforts and thus lowering the obstacles to the introduction of robots. AgilRoP project plans to achieve this objective by developing core technology modules and validating them in the consortium learning factory network along with a robot system integrator. - Demonstration of manufacturing applications and validation of the agile, semi-autonomous programming technologies developed. Through the 50% higher degree of autonomy in robot systems in an agile production environment, this project will result in a productivity increase of up to 20% in the production processes in an agile production environment by effective utilisation of AI and cognitive robotic technologies. The AgilRoP Project is divided into 12 work packages, while FESB participate in 2 work packages. The project consortium consists of 10 organisations, which complement each other synergistically with regard to their research and technology competencies, business and market, end-user domains and intercultural competence. The final version of the concept of the Procedure Algorithm as a part of the customized decision support system is developed within the MS Excel spreadsheet form. The developed form leads users through all procedure steps. It's simplicity and intuitiveness enable even an inexperienced user to use it. Finally, data gathered and generated through this form are manually transferred to form suitable for the algorithm in order to avoid undesirable results. Usage of developed concept (MS Excell spreadsheet form) inside the gearbox assembly line located at FESB, is shown in the figure below. 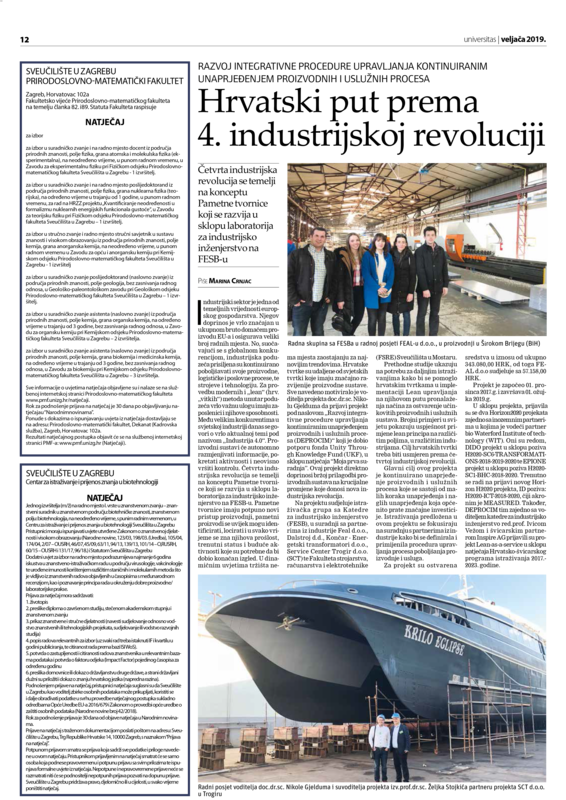 On Friday, March 15, on the web page of Faculty of Electrical Engineering, Mechanical Engineering and Naval Architecture (FESB), a notice about the end of the DEPROCIM project has been published. The main goals of the project, as well as his achieved results, were the prime topic of this notice. On Wednesday, February 27, DEPROCIM project was presented in the 111th issue of the Croatian newspaper "Universitas" which is a montly part of "Slobodna Dalmacija" and "Jutarnji list" daily newspapers (http://www.unizg.hr/novosti-i-press/universitas/). Members of DEPROCIM project together with the partners Hochschule Reutlingen (Germany), Technical University of Vienna (Austria), Ruhr Universität Bochum (Germany), University of Split (Croatia), KTH Royal Institute of Technology (Sweden), University of Stellenbosch (South Africa) and University of Kragujevac (Serbia), together with industrial partners, are working on the Horizon 2020 project proposal named "Agile Programming of Robots based on CAD and Product Information" - Call ID: H2020-ICT-2018-2020. Although the H2020 project proposal EPIONE, where DEPROCIM members from FESB were part of the consortium, was evaluated overall as good, the proposal did not make it through the second stage. The project proposal Lean-as-a-Service (LaaS) within Croatian Swiss Research Programme (CSRP) project call, where participants of DEPROCIM project and Prof. PhD Ivica Veža, Head of Chair of industrial engineering in FSB, were supposed to participate together with the Swiss partner Inspire AG, was unfortunately rejected. EPIONE will provide a freely available online Well Being Framework and Toolkit encompassing evidence based recommendations and support programmes that promote work place mental health for SME and smaller public agency employers and employees. EPIONE will define a set of requirements based on systematic literature reviews and pan European survey of SMEs and smaller public agencies on their challenges to promote work place mental health, including financial and social considerations. It will interface with previously funded research projects to develop further the Wellbeing toolkit. EPIONE will leverage artificial intelligence technologies and bespoke algorithms to monitor, classify and prescribe suitable toolkit packages, mapped to users’ mental health data and the level of support required. The Toolkit will encompass an EPIONE wellbeing mobile application and multiple wellbeing packages for categorised mental health levels relating to stress, anxiety and depression. Such a wellbeing package will contain detailed action plans, including recommended guidelines, suggested physical activities, suggested health monitoring wearables and smart devices (to monitor users’ ECG, blood pressure etc.) and specific Virtual Reality (VR) type applications to help alleviate problems and promote wellbeing. The EPIONE online framework and Toolkit will provide much needed and freely available support sensitised to the needs of SME’s and smaller public agencies. DEPROCIM project team from FESB is a part of a consortium that applied "first stage" proposal on Horizon2020 call. Our activities within the project are related to the study of the state and the influence factors in Croatian companies on the health of employees in their workplaces. Research about the influence of digitization of production on the organization of production, employees and users were also been planned. Unfortunately, the H2020 project proposal with the leading partner Waterford Institute of Technology (WIT), where the FESB team that working on DEPROCIM project was supposed to participate, was rejected. After final reviews, DIDO's project proposal was very close to its realization. The project was rated with a total score of 8, and 10 was sufficient for adoption and implementation. On Thursday, June 28, organisers from FESB officially opened 3rd International Multidisciplinary Conference on Smart and Sustainable Technologies SpliTech 2018. The conference is organized by the Faculty of Electrical Engineering, Manufacturing Engineering and Naval Architecture supported by Split and Dalmatia County. The key purpose of this conference is to gather all engineering disciplines, professional experts, industry experts and the academia in order to exchange the knowledge in a field related to eHealth, Smart City/Environment, Energy and Engineering Modelling. The main goal is to contribute to the development of science, the economy in the region, the state and the world. The conference lasted for three days. In these three days, experts from mentioned fields from all the world presented their work. 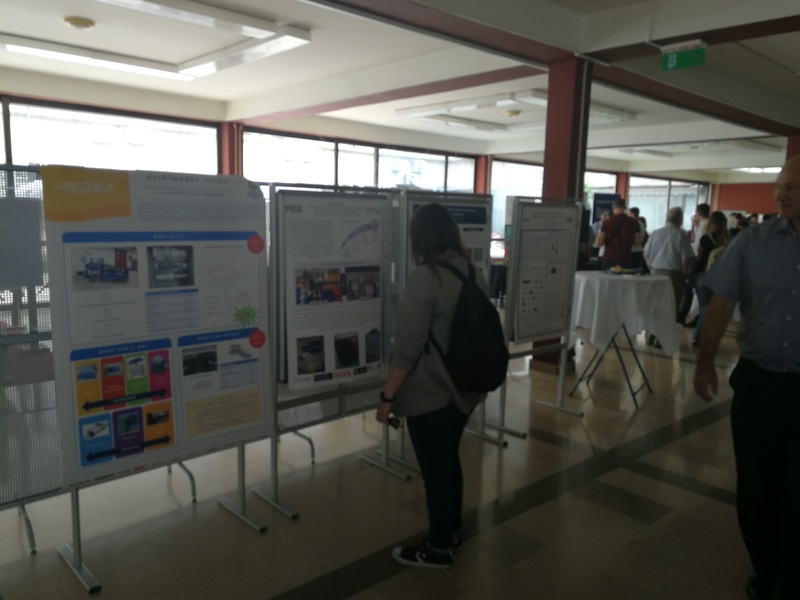 The second day of the conference, a poster session was held in which all SpliTech participants could find out more about exposed project posters. 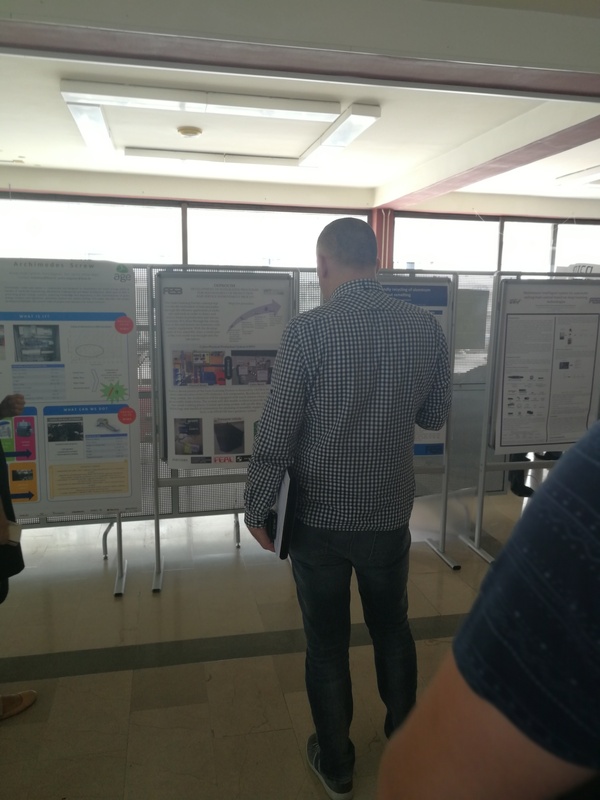 One of the four presented posters was the poster of the UKF project - DEPROCIM. 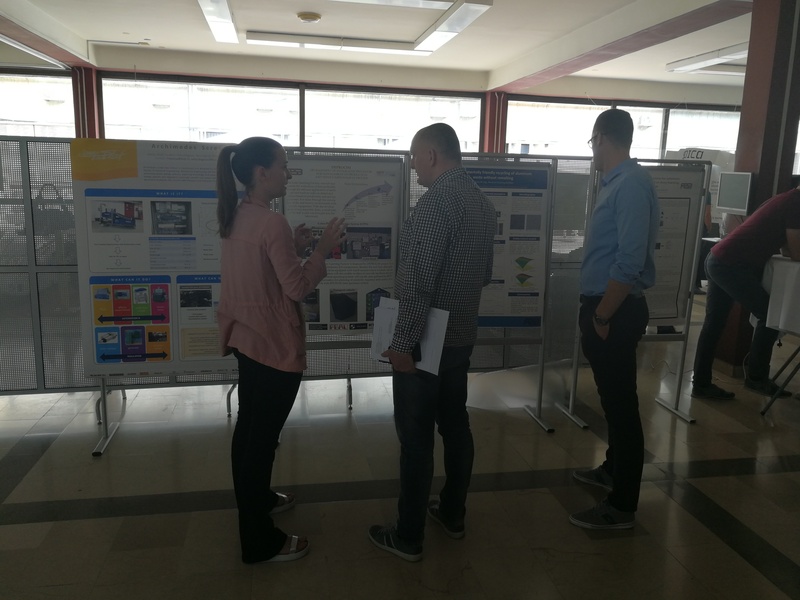 The seminar „Smart Production 2018„ was held on 20 June 2018 at Faculty of Electrical Engineering, Mechanical Engineering and Naval Architecture (FESB) in Split. The main objectives of the seminar were to familiarize Croatian economists with the steps that the Republic of Croatia undertakes, and with the experience from renowned foreign institutions, since the Croatia economy is facing with challenges of digitization, smart specialization and Industry 4.0. The seminar was attended by representatives of industrial companies, public administration, public sector and scientific institutions, with a total attendance of 41 people. Lecturers at the Seminar „Smart Production 2018„, were guests from abroad, Prof. PhD Peter Plapper of the University of Luxemburg and Mr. Lukas Weiss - IWF, Inspire AG (ETH Zurich) and distinguished lecturers from Croatian institutions, Prof. PhD Nedeljko Stefanic - FSB (University of Zagreb), Amir Secerkadic -CEO, IZIT d.o.o. (Zagreb), Martin Bucan, as representative of Split-Dalmatian County for the GREEN project. Through the presentation PhD Marko Mladineo "The Model of the Innovative Smart Company HR-ISE", the audience met with the Learning Factory concept that is developing within the UKF DEPROCIM project. Later, through visits and demonstrations within the Learning Factory, the participants were better acquainted with the DEPROCIM project itself, its goals and past achievements. From Monday 04 June to Friday 08 June 2018, the „FESB Days“ were held in the Faculty of Electrical Engineering, Mechanical Engineering and Naval Architecture in Split, within the celebration of 58th anniversary of the Faculty. Throughout that time, a whole series of events aimed at the interested public took place at the Faculty. 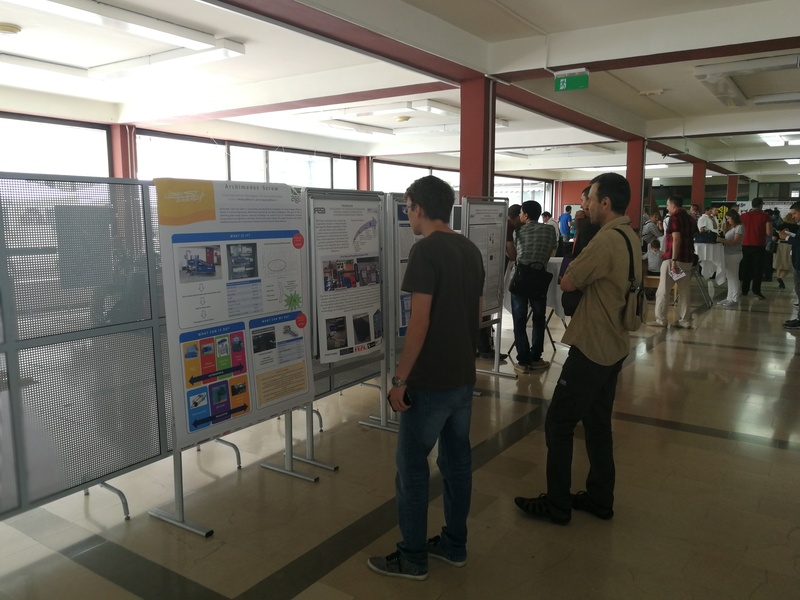 One of them was the presentation of a scientific research of PhD students, which was held on Thursday, 07 June 2018 at 13:00 h. 8 PhD students take part in the conference were they present research they are participating in, in front of representatives of the reputable companies of economy (AD Plastik, Ericsson, Siemens/Atos, Rimac cars, HR cloud, Adria Winch, KončarEU, Pro Integris, representative of Split - Dalmatia County responsible for the IT sector) and in front of their colleagues. It is estimated that around 50 people attended this event. The DEPROCIM project was also presented within the presentation „Designing of intelligent assembly line inside Learning Factory“. Attendees had an opportunity to get acquainted with the project and gain a deeper insight into the activities taking place within it,i.e. in the steps that have been taken and the steps that need to be taken to finish the project. Today, the 4th Industrial Revolution based on digital technologies, has taken root in almost all aspects of human life. Like any revolution, this revolution also brings a whole spectrum of positive trends such as faster information flow that leads to faster production, creation of new markets and new businesses, the emergence of new forms of industrial work organisation and production. However, these positive trends have been followed by some negative impact. The historical precedents suggest that this impact, whether they are positive or negative, can significantly dislocate a society if they are not effectively managed. With the lead partner Waterford Institute of Technology (WIT) and the other 12 partners from academic institutions and business groups across Europe, FESB in cooperation with ESB Reutlingen have embarked on the realization of the project, within the call H2020-SC6-TRANSFORMATIONS-2018-2019-2020 (SOCIOECONOMIC AND CULTURAL TRANSFORMATIONS IN THE CONTEXT OF THE FOURTH INDUSTRIAL REVOLUTION), called „Digital Industrial Disruption social Options survey project“ (DIDO) DIDO project is EU funded. The whole project team from FESB working on the UKF project is planned in the H2020 project application, under the leadership of assistant professor PhD Nikola Gjeldum. Activities of FESB team members are related to the research and further development of the laboratory in the direction of the digitization concept i.e. Industry 4.0, so that developed methods and systems can be used to evaluate the impact of digitalisation on the organization of production, employees and users. The goals of the UKF project that are involving the initial equipment and development of such systems are extremely important, and the UKF project, in some way, enabled our team to plan and equip our laboratory so that we can fully participate in the application for this H2020 call. On the other hand, it is planned to include a large number of companies from Croatia during the project, and for the entire project also the companies from other countries for the purposes of pilot projects, which will continue to promote the UKF project and its activities through contacts and planned activities and workshops in our laboratory achieved goals. The efforts made so far in the DEPROCIM project, besides activities on concept definition, resulted in the development of communication protocol and computing codes that will enable communication of RFID readers with microcontrollers, which could be tracked on displays and control boards for its infallibility. In order to procure the necessary electronic equipment and develop a portable system, project activities started in FEAL and SCT partner companies. Besides kick-of-meetings, which resulted in identification of process flows for case studies, specific needs and constraints are determined to steer the system development in an adequate direction. Simulation of the developed concept will be done in two other partner companies before the procurement of parts and assembly of psychical system took a part. 19.01.2018. Successful proposal application on Croatian Swiss Research Programme (CSRP) project call. A leader of the DEPROCIM project, together with co-workers on the project and Prof. PhD. Ivica Veža, Head of Chair of industrial engineering, on which all DEPROCIM research group members from FESB are employed, took a part on writing a proposal for Croatian Swiss Research Programme (CSRP) project call. The aims of the proposal are fully aligned with the topics of DEPROCIM project in terms that it will present continuation of project activities through the realization of Lean driven Industry 4.0 system integrated into Lean-as-a-Service platform (LaaS). This research project proposes to examine the possibilities of enhancement of Lean production systems by Cyber Physical Systems (CPS), in order to create a Lean system profiting from Industry 4.0 where applicable. The Swiss partner is Inspire AG, ETH Zürich, from Zürich. From a total budget of 367.418 CHF, for Croatian partner FESB is allocated 185.000 CHF with an approximate distribution of costs: 60% salaries for two doctoral students, 26% for equipment, 6% for travel costs and 8% for overheads. Swiss contribution (Swiss National Science Foundation) is 86.84%, and Croatian contribution (Croatian Science Foundation) is 13.16% of total budget. The project “Increasing the competitiveness of companies in the metal sector through the implementation of lean tools and the establishment of the Lean Center” started in 2017. Web page of the project is http://leancentar.fsr.sve-mo.ba/naslovnica/. It is founded by the EU, and implemented by GIZ (German Society for International Cooperation). Project leader is the Faculty of Mechanical Engineering, Computing and Electrical Engineering, University of Mostar, in cooperation with five companies from Herzegovina. The partners are: FEAL Ltd., Miviko Ltd., TEM Mandeks Ltd., TT Kabeli Ltd., WELTPLAST Ltd. The aim of the project is to increase the competitiveness of the metal sector companies in the regions of Široki Brijeg and Posušje through reduced organizational costs while ensuring the sustainability of the knowledge and enhancement of the competences achieved through the project. The second day of joint implementation was held on December 9, 2018. at the Faculty of Mechanical Engineering, Computing and Electrical Engineering. Implementation was focused on Lean Tools 5S, Kaizen and Value Stream Mapping where project teams, formed by project partners' representatives, could familiarize themselves with these tools to be able to apply them in their companies. As one of the speakers was Asst. Prof. PhD. Nikola Gjeldum, he introduced the UKF project DEPROCIM to project teams and therefore presented the aims of the project. Readiness to gather a consortium for application on Horizon 2020 or other EU funds is shown in order to attract companies to participate in project proposals as industry partners. The UKF project “Development of an integrative procedure for management of production and service improvement process” (DEPROCIM) is introduced to participants of „Innovative Smart Enterprise” project workshop on Faculty of Electrical Engineering, Mechanical Engineering and Naval Architecture (FESB), University of Split. The research group of scientists from FESB, together with researchers from Faculty of Economics (EFST), University of Split, and Faculty of Mechanical Engineering, Computer Engineering and Electrical Engineering (FSRE), University of Mostar, leads the scientific project „Innovative Smart Enterprise” (INSENT). Web page of the project is http://insent.fesb.unist.hr/index.php/en/. The project is supported by the Croatian Science Foundation, with a total grant of 722.000,00 HRK. A project manager is Professor PhD Ivica Veža. This project started on 1st September 2014 and will last till 31st August 2018. The main aim of the project INSENT is to develop the Croatian Model of Innovative Smart Enterprise (HR-ISE model). It is a model with adaptations to a specific regional way of thinking, production, organizational tradition and education. The research group have developed the HR-ISE model in order to help Croatian companies to bridge the gap between their current situation and that of the developed companies across Europe. For project purposes, in revealing the current situation, researchers made interviews with more than 30 companies’ CEOs and collected survey answers from total 168 companies from Croatia and Bosnia and Herzegovina. The last workshop was on 5th December 2017, which was a good opportunity to introduce the UKF project and its aims to the wider audience of professors and young researchers.